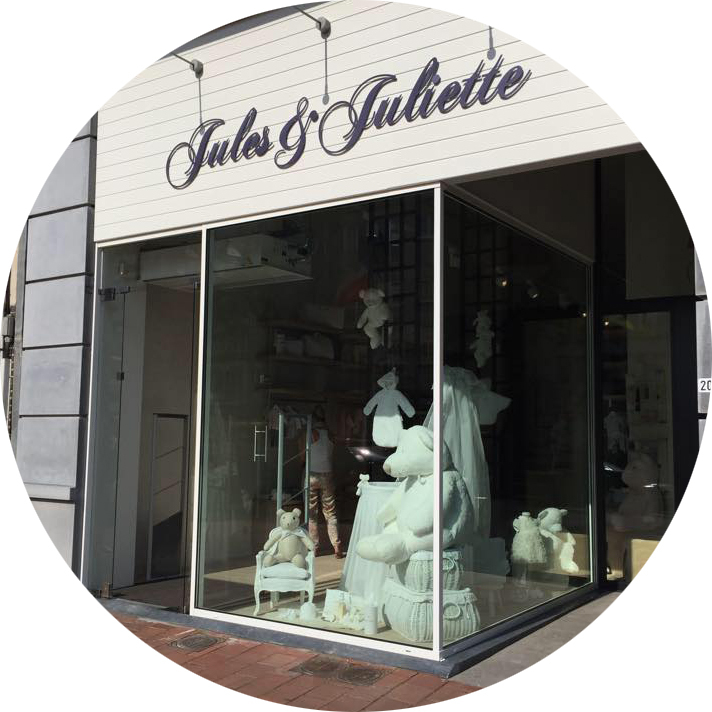 Jules & Juliette is a baby shop that was founded in 2017. Our range consist of a classic-romantic assortment with a personal touch. Since 2018 you can also find children's clothing on our webshop. The junior collections are only available on our webshop! Our specialized team advises you with dedication and passion in the choice of baby clothes, baby rooms, drinking bottles, toys, cuddly toys, bath stuff, strollers and much more. Since 2017 you can also visit our Jules & Juliette webshop. Looking for a place for your birth list? Our store has a personal cupboard space for the presents for your newborn baby. More info? Discover everything about creating a birth list at Jules & Juliette!